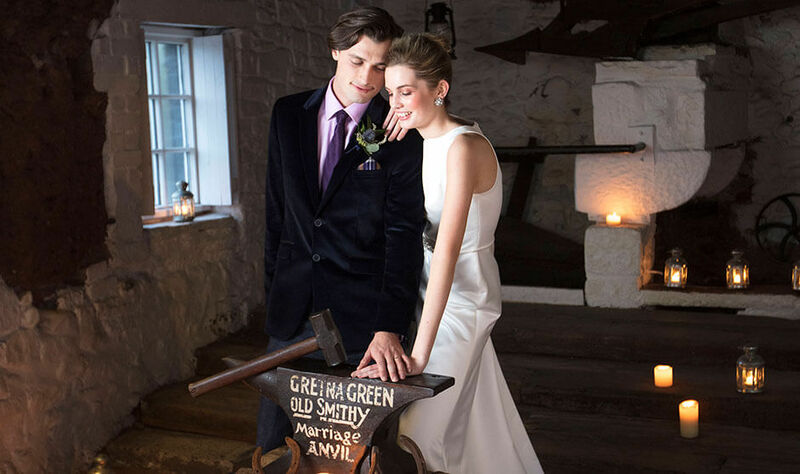 Weddings are still at the heart of the Famous Blacksmiths Shop. An active wedding venue, the Famous Blacksmiths Shop plays host to wedding ceremonies, marriage reenactments, anvil blessings and our extremely popular anvil handfasting ceremonies on a daily basis. Steeped in a rich history of marriage - it remains the romantic epicentre of the UK (and far beyond!). The Famous Blacksmiths Shop also features a fascinating historical marriage museum. With the romantic stories and love letters of centuries gone by, as well as reenactments, engaging talks and varied exhibits - there’s plenty to see and do. Plus, our Famous Blacksmiths Shop Museum is both family-friendly and pet-friendly and under 12s go FREE. Alongside our Famous Blacksmiths Shop, at the heart of our visitor centre, sits our famous brand department store - Gretna Green Since 1754. 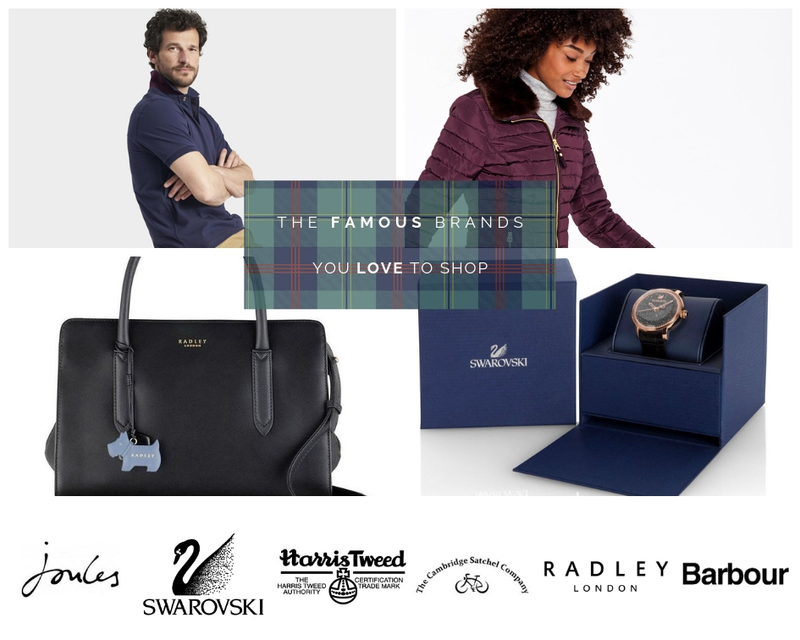 Home to some of the UK's most favourite premium brands including Barbour, Joules, Radley, Grafea, The Cambridge Satchel Company and Harris Tweed; international favourite Swarovski, and luxury cashmere from Johnstons of Elgin, Lochcarron, Lona Scott, Heritage Cashmere, Wyse of London and our own-brand 100% cashmere fashion and accessories brand Gretna Green Since 1754. With all outdoor areas, on-site, pet-friendly, as well as the inside of the museum, the Famous Blacksmiths Shop is the perfect pet-friendly destination, whether you are coming for a day out or looking for somewhere to stop on your journey; particularly as we are just minutes away from the M6 Carlisle, M74 Gretna and the A75 Gretna. We also, of course, allow service dogs in all areas. We also welcome families of all ages, from 0 to 100+, with accessibility for buggies, prams and wheelchairs, as well children's activities, a play park, our Courtship Maze and plenty of outdoor space to run and burn off energy. 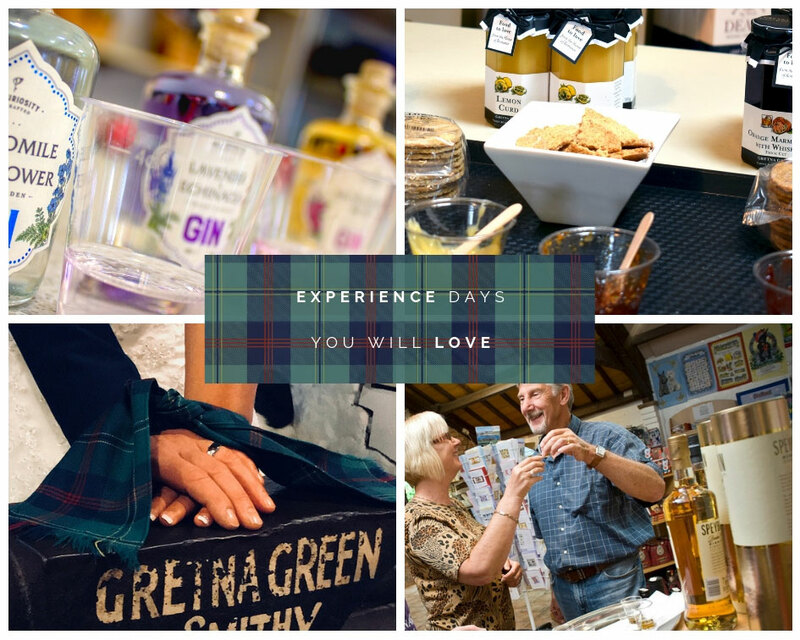 You don't have to get married to experience love in Gretna Green. We offer a range of experience packages, including our Anvil Handfasting package; based on the centuries-old tradition of handfasting, where you and your loved one's hands are bound together, along with the chance to experience a traditional Anvil Blessing and 'tying of the knot' over the famous blacksmith's anvil. Book in advance, or simply enquire for availability on-the-day; this informal ceremony is perfect for valentine's day, engagements, birthdays, Christmas, weddings and anniversaries; or to just commemorate your visit to Gretna Green. 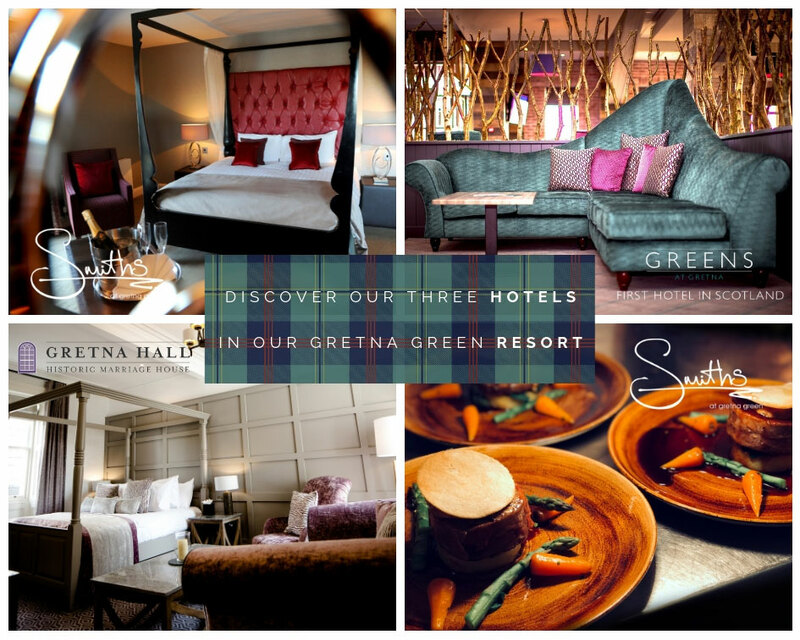 As Gretna Green's premier hoteliers, we are proud to offer our visitors not one, but three hotels, as part of the Gretna Green Resort. 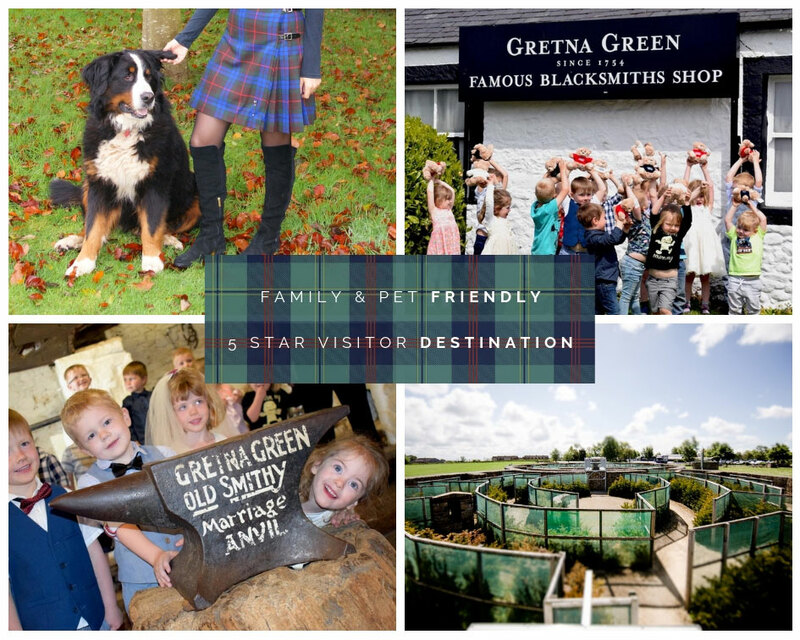 Our range of accommodation includes the 4-star Smiths at Gretna Green, Gretna Hall Historic Marriage House and Hotel, the 3-Star Greens at Gretna Hotel and our 4-Star holiday cottages, the Bensmoor Suites. Our hotels are AA graded, for your reassurance, all offering quality dining and lounge bars. We are also home to the 2 AA Rosette Chainmail Restaurant in our Smiths hotel. Enjoy a wide range of hot and cold meals, cakes, snacks, salads, sandwiches and our weekly carveries at our fabulous Blacksmiths Foodcourt. Fully licensed, you can enjoy traditional Scottish foods as well as alcoholic drinks from our Blacksmiths Bar in an open-plan, relaxed atmosphere. Help yourself, with our self-service drinks and cakes counters or order a meal from our hot food counter. Coming with a group, then why not book ahead for table-service in our private dining area? You can also take-away food from our Food court, or our takeaway located in our 'Wee Big Shop' or dine in our conservatory; which also provides outdoor seating. We are pleased to welcome over half a million international visitors to the Blacksmith's shop every year, from worldwide. As an international tourist attraction, we provide our museum and visitor literature in multiple languages. We also offer tax-free shopping and our 'Ship it Home' service, where any purchases you make in our shops can be packaged and shipped internationally, direct from our store. Simply ask a member of staff for details. So why visit the Famous Blacksmiths Shop? If we haven't already convinced you with all the fantastic things we have to offer, then let us finish by inspiring you. The Blacksmith's shop is one of Southwest Scotland's most treasured historical landmarks, with its roots set in the heart of love and romance and it is said that touching the anvil will bring you luck in love. It's a chance to stand in the footprints of centuries of lovers, running away to be together, where you can feel the excitement and enchantment of that romance all around you. 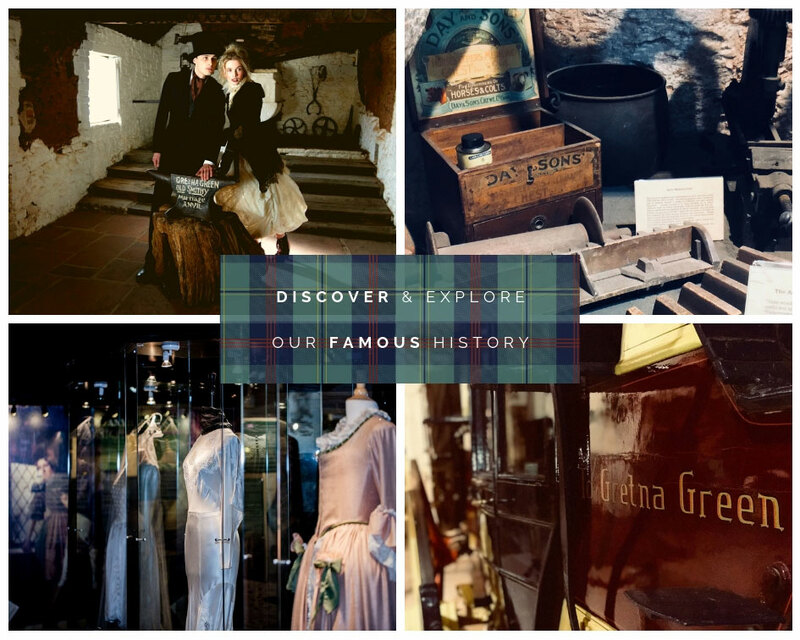 Arguably Dumfries and Galloway's most famous historic visitor destination, visit us here in Gretna Green to experience the history and romance for yourself; at your first and last stop in Scotland.